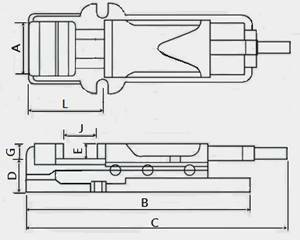 Ø Mechanical / hydraulic type can be used alone, or combination, the hydraulic clamping force is stable and big, it's suitable for heavy cutting precision machining. Ø Holder of a large opening function, and can quickly move back and forth. 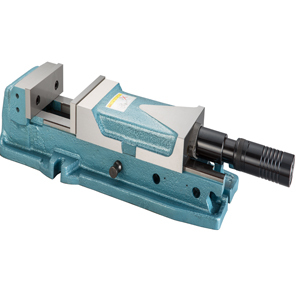 Ø Vise body material is high ductility of cast iron, vise both sides of the slide hardened heat (HRC45°), ensure high precision and high wear resistance, high tensile strength.